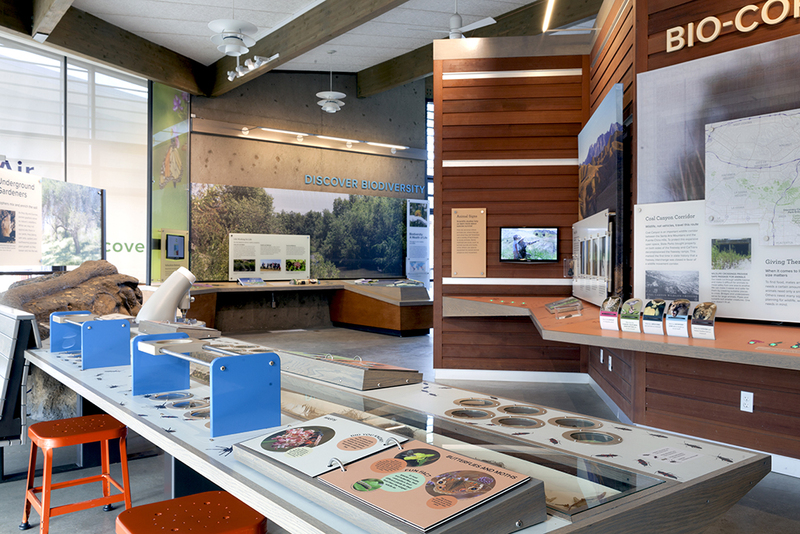 Featuring a variety of interactive elements and high quality finish details, the Chino Hills State Park Discovery Center exhibits establish a new level of craft and design for the California State Park’s educational and interpretive centers. 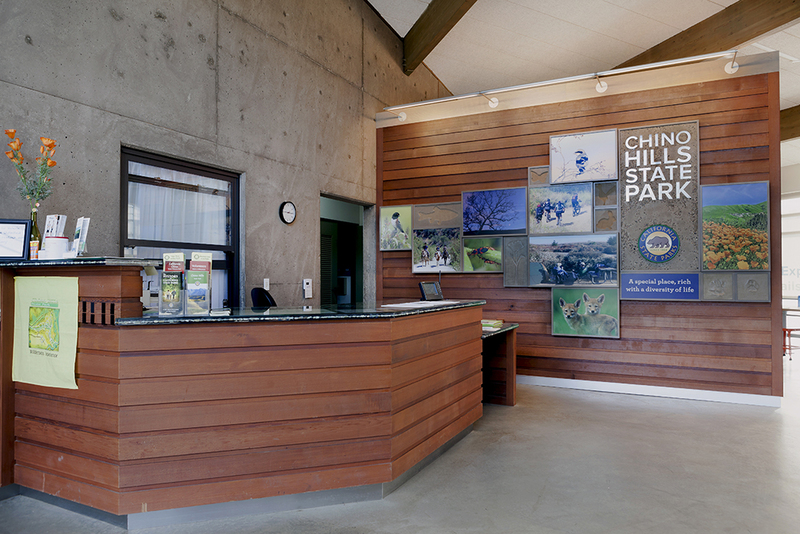 Working closely with State Park staff and park ecologists, Cinnabar designed and fabricated seven exhibit areas, from “Building Blocks of Biodiversity” to “Biocorridors: Linkages to Survival” and “Living on the Urban Edge”—to instill in visitors an appreciation for this critically important open space and highlight the unique biodiversity and vital ecological role of the Chino Hills. 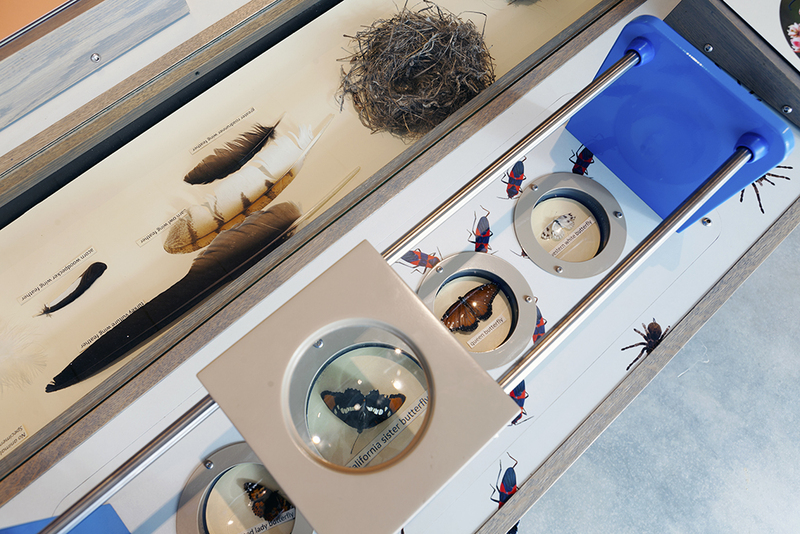 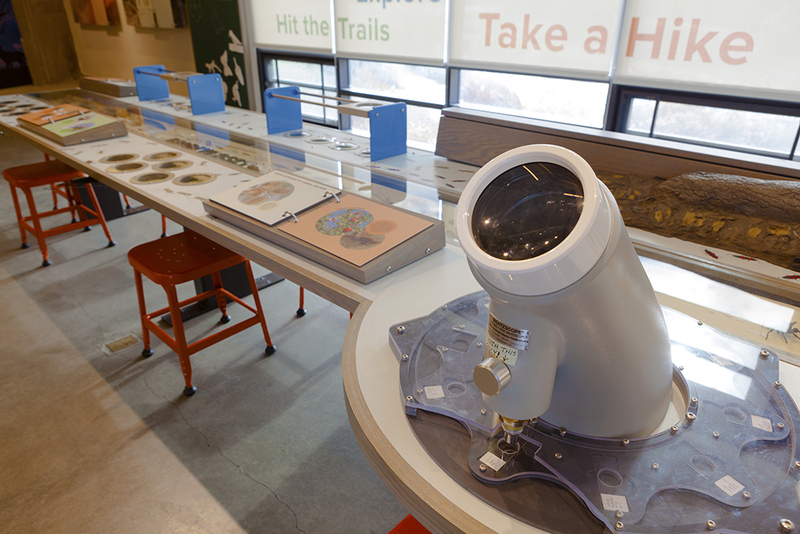 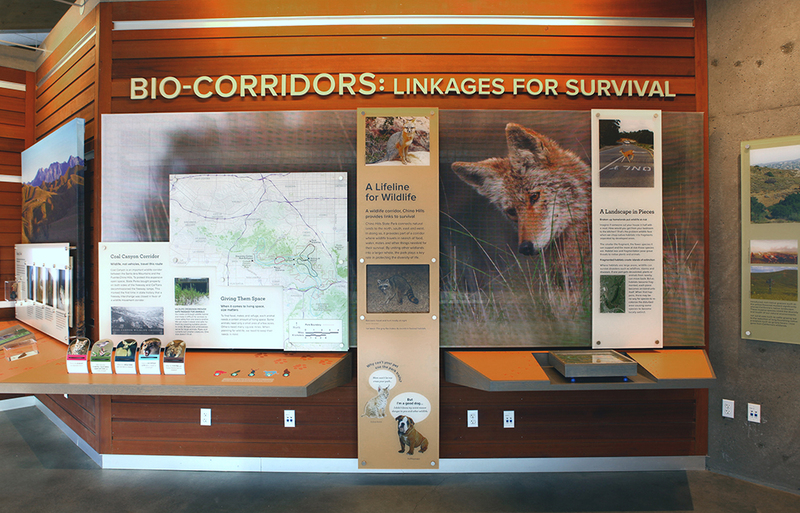 The exhibits were developed as plug and play components for assembly at Cinnabar, easy transportation to and efficient, simple installation at the Discovery Center’s remote location. 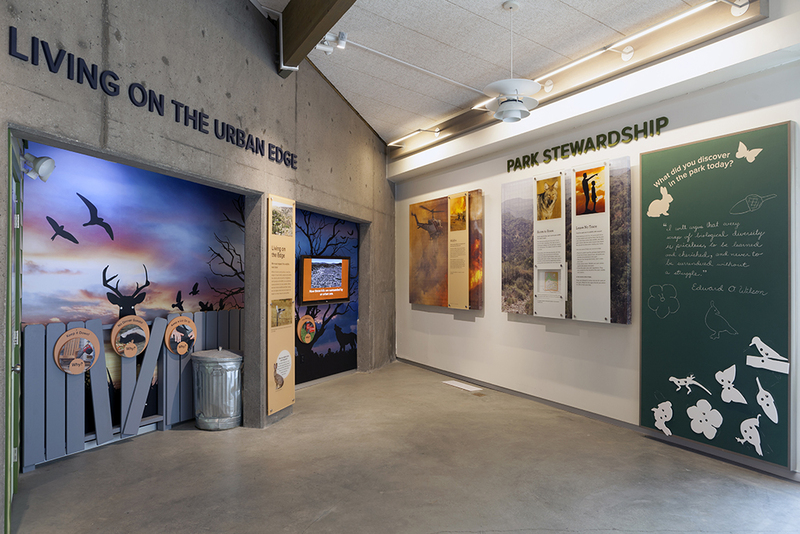 In addition to a three-dimensional map of the park, elements include pull-up and flip panels, a bio-corridor tilt-game, a spinning match-game relating indigenous Park plant species to common medicinal products such as aspirin, as well as several audio-visual interactives. 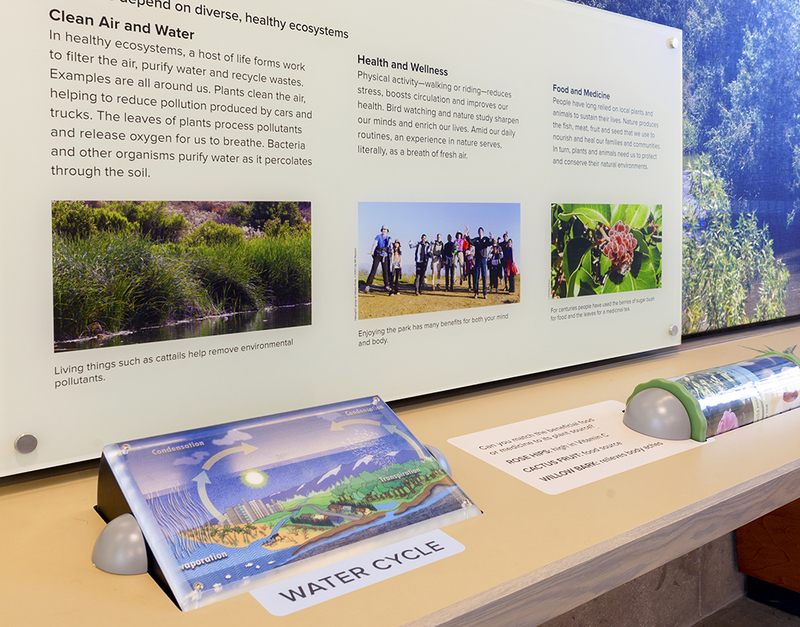 Cinnabar also fabricated a detailed, durable and fun reproduction soil mound that incorporates examples of local plants and animals such as a life-like shrew, a rattlesnake and various insects. 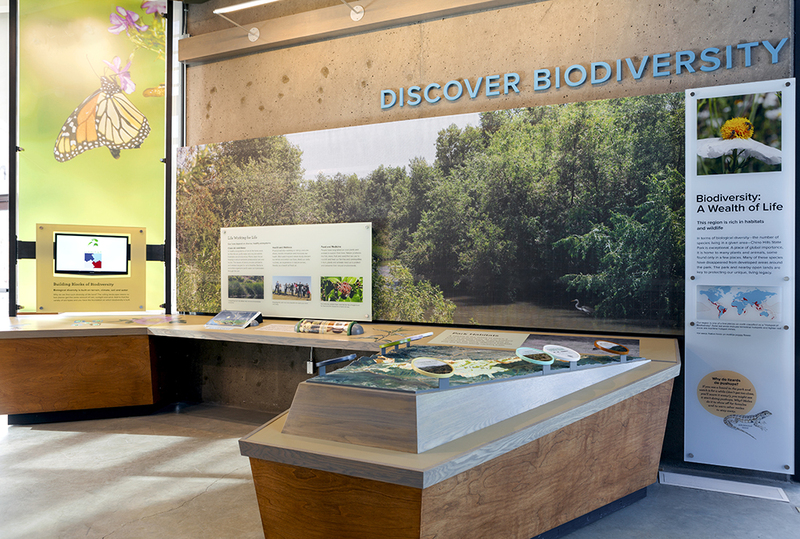 The Discovery Center imbues in its visitors the importance of protecting California’s native habitats and serves as a key learning center and gateway to Chino Hills and the rolling hills, wooded canyons, flora, fauna, and riparian forests that uniquely coexist beside the densely built up, urban lands of the Los Angeles Basin.